I feel like “off the beaten path” is where I live my religious life. So what if I’m a priest in an organized group of Kemetics — my gods spend an awful lot of time insisting that interacting with Them is more important than reading about Them, which means I get most of my information from personal experiences. If you have faith in the system and believe that the rituals I’ve been taught safeguard against the presence of other spirits hijacking the spotlight (which I do believe), then the only thing to be careful of when interpreting what the gods have to say is my own subconscious influence — which is admittedly tough. When in doubt I Think, Divine, and Talk about it. Think about it: Question what’s being said. Does it sound like wish-fulfillment? Are there any red flags? Wish-fulfillment would be something that meets our exact wants and needs; it may therefore be coming from our subconscious, rather than from the gods Themselves. Red flags would be suspicious requests — ones that ask us to harm ourselves or others. Sekhmet does not want you to offer alcohol if it is a trigger for you; if you feel She is asking you to give Her beer and you have a history with alcoholism, it may not really be Her asking. Sometimes it’s tough to tell the difference; the gods can ask us to inconvenience ourselves, or to take actions that may feel like they will hurt us but will lead to growth in the end. If you’ve thought it over and you still feel uncertain — that’s okay! There are other ways to confirm or validate experiences. Talk about it: Never underestimate the power of a good conversation. Talk to someone else who honors the same gods, or who is trying the same things as you. They may be going through a similar situation. They may be able to tell you whether it sounds like you’re doing something dangerous or inappropriate. Even if they can’t confirm whether your experience holds any legitimacy, they can at very least let you know whether you are about to hurt yourself or someone else. And sometimes, just voicing concerns can help sort them out. When all else fails: If you think about it, divine about it, and talk about it, and you’re just not sure what to do — go with your gut, but proceed with caution. In most things we do, it isn’t going to matter whether what we are doing is 100% historically informed. I don’t believe the gods are going to be violently offended if we create beautiful rites to honor Them that deviate from antiquity. 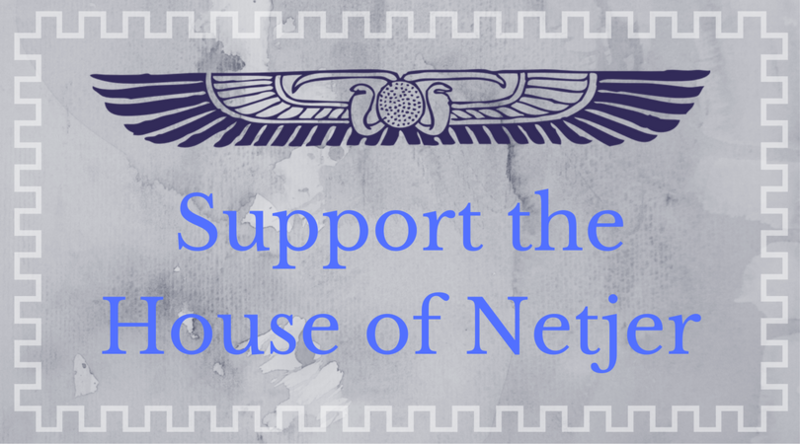 I don’t believe there’s much we can do to screw up the balance of ma’at, if our heka is a little bit funky; it might not be as effective, is all. I do, however, believe that the power of our religion comes from our connection with the gods. If offering red jellybeans to Sekhmet connects you both — do it. The gods have many forms and many manifestations. They have more kau and bau than we can imagine. Perhaps the form of Sekhmet Who manifests to you prefers red jellybeans; perhaps She will use them later on to help you learn or figure something out. But if we spend all our time trying to decide whether that’s what She really wants, we are missing out on the chance to build a connection with Her. Even if that connection begins with offering red jellybeans and finding out that She really hates them. 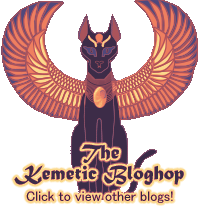 Once upon a time, when I was a wee baby Kemetic making my first offerings, Tumblr was a gleam in someone’s eye and LiveJournal reigned supreme. I offered Sekhmet orange juice, based on my own gut feelings. It seemed to make sense – She’s a solar goddess, oranges and citrus fruit are associated with the sun, so obviously She would want orange juice. I went with my gut. She hated it. I could feel the Divine side-eye bearing down on me from my dorm room altar. Next time, make it something stronger, She mused loudly in my head. Did I die? Did She smite me? Nope. She helped me. And after that, I did not offer Her orange juice. Obviously that wasn’t very far off the beaten path — in fact, since I wasn’t even really on a path at the time, I don’t think it really counts as off the path at all. The point I want to make is that it isn’t deadly to make mistakes. Going off of our own instinct can lead to some really beautiful experiences. Some of the best religious experiences I have ever had have come from nothing else besides trust in the messages from the gods. We are, after all, only human. Being wrong once in a while won’t kill us, but missing out on something great because we are afraid to be wrong can make us miserable. Previous Post Making Health and Long Life. Next Post W’ab Wednesday: Ritual purity or ridiculous purity?